. @JacksonFdn and @DiscoveryEd launch second annual #ChaChing #MoneySmartKids contest to encourage fiscally fit habits among youth, http://bit.ly/2NZ14lp. 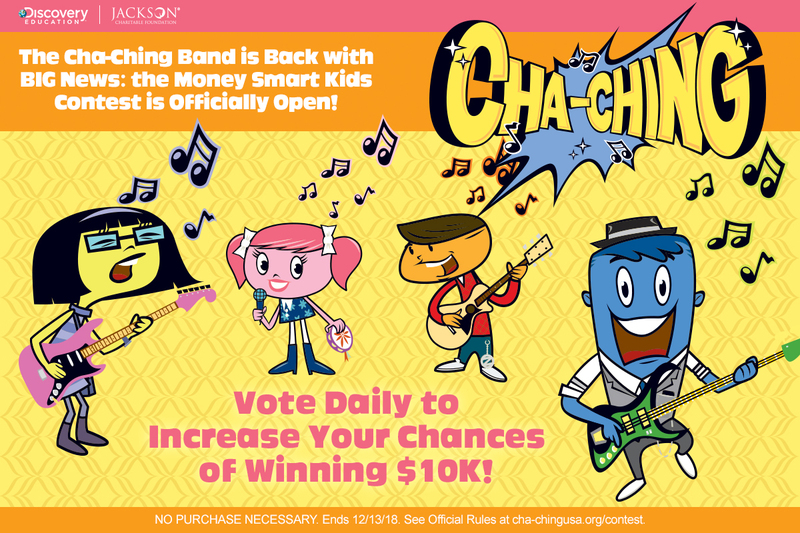 SILVER SPRING, Md., September 7, 2018 /3BL Media/ – Jackson Charitable Foundation, a nonprofit with the mission to advance financial knowledge on a national scale and Discovery Education, the leading provider of digital content and professional development for K-12 classrooms today announced the second annual Cha-Ching Money Smart Kids Contest! The contest invites elementary school teachers and families to take a pledge to teach kids how to “earn, save, spend and donate” for a chance to win $10,000 for their local school – plus an additional $1,000 for the charity of their choice. The winning school will receive a fun financial literacy event at their school featuring children’s educational media expert Dr. Alice Wilder, producer of Blues Clues and co-creator of Super WHY!, and the characters of Cha-Ching. Entrants may take the pledge up to once a day on behalf of their school from now through December 13, 2018. 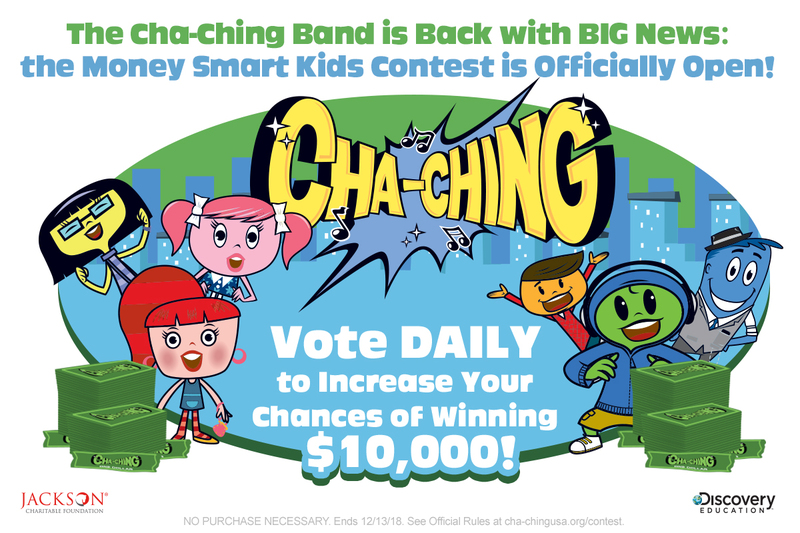 Cha-Ching Money Smart Kids Contest!